Purple Magazine gets its sparkle on just in time for the New Year's festivities with a motley crew of models for Fall/Winter 2013 issue of the blue chip publication. Photographer Theo Wenner assembles a cast of the most distinctive faces in modelling including Anna Ewers, Ondria Hardin, Meghan Collison, Julia Nobis, Anais Mali, and Juliana Schurig. 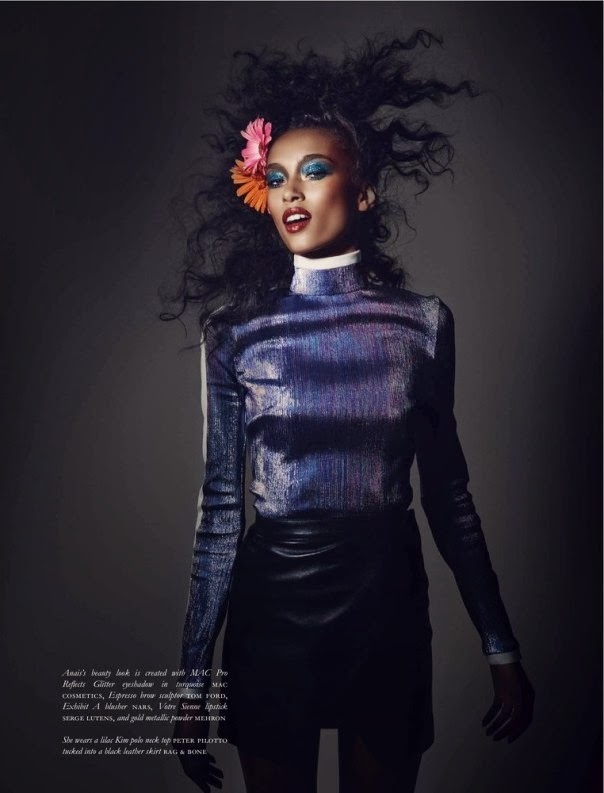 The cast of eclectic beauties are glammed up to the hilt with neon hued eye shadow, jewel encrusted lips, and Studio 54 styled hair courtesy of hair and make-up artists Odile Gilbert and Aaron de Mey. Fashion editor Delphine Danhier ensures the girls are ready to bust a move for the appropriately titled "Nights Out" editorial kitted out in Peter Pilotto, Rag & Bone, Reed Krakoff, and Comme des Garçons. 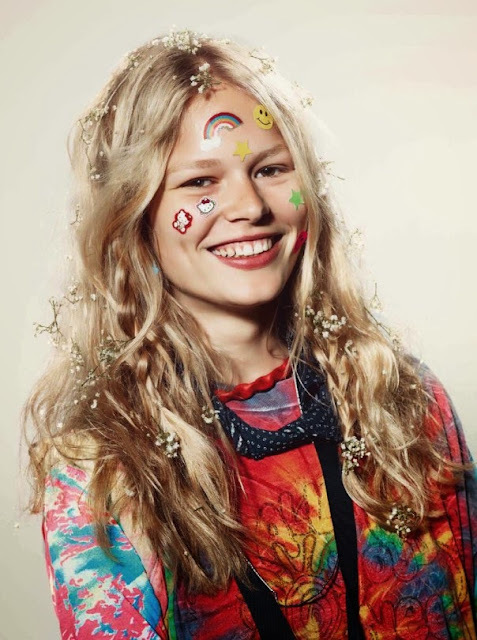 Newcomer Anna Ewers shines alongside edgy it girls Meghan Collison and Julia Nobis, while sweet teen Ondria Hardin, comeback kid Juliana Schurig, and the oh so chic Anais Mali round out the cast. As the countdown begins to 2014, IMA looks forward to bringing you more exclusive interviews and content with the most promising new modelling talent.